Needless to say how important the eyes for us. But many of us forget to take care of the eyes. 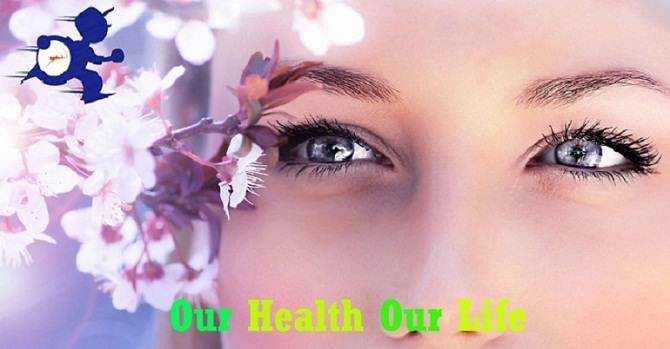 To keep good eyesight, only eating some foods does not improve your eyes health. Need more care for the eyes. 24 hours who’ve sat looking at computers and mobile phones, etc., the eye exercise is very important for them. So know how to improve eyesight. How to improve eyesight – Method One: Palming. Palming is a good exercise for your eyes. To palm, it is necessary to sit, in an armchair or on a sofa; get yourself as relaxed as possible. Then close your eyes and cover them with your hands, crossing them slightly so that the left palm is over the left eye and the right palm over the right eye, both slightly copped and leaving sufficient space for the nose to be free. Do not press on the eyes. Then with eyes completely covered in this manner, allow your elbows to drop on to your knees. The great point is to have the eyes relaxed and covered with the palms. The more black, the color that is seen when palming, the more relaxed the state of eyes. If this is done for ten to twenty minutes twice or three times a day, the improvement in vision should be considerable and this method of relaxation is one of the best methods to the natural treatment of defective vision. How to improve eyesight – Method Two: Swinging. Stand upright with feet about 12 inches apart, hands loosely at the sides. Then keeping yourself as relaxed as possible, gently sway the whole body from side to side. Raise each heel alternatively from the ground, but not the rest of the foot. This gentle swaying or swinging has the effect of relaxing he whole nervous system and should be practiced two or three times a day for five to ten minutes each time. After swinging for a minute with the eyes open, the eyes should then be closed. Then reopen the eyes for a further moment and so on all the time, alternating between eyes open and closed. If performed correctly, this swinging exercise has very beneficial effect upon the eyes and nervous system it is the best means of relieving eye strain. How to improve eyesight – Method Three: Blinking. In additional to palming and swinging, there is a third method of producing relaxation of the eyes and this through the agency of blinking. The normal eye blinks at regular intervals all the time it is open; it is done so rapidly, that we do not see it. But in those suffering from defective vision, the eye becomes fixed and strained and blinking is done consciously and with effort. All sufferers from defective vision should therefore cultivate the habit of blinking frequently and regularly, and thus prevent straining. Learn to blink once or twice every ten seconds no matter what you may be doing at the time, and especially when reading. This is very simple and effective way of breaking up strain. It will enable the sufferer to do more reading than before. How to improve eyesight – Method Four: Cold Water. Whenever you wash yourself before drying lean over the bowl, dip your hands in the water (palms upwards and cupped) raise them full of water to within two inches of your closed eyes. Then splash the cold water on to your eyes smartly, but not violently. Repeat this about twenty times, then dry yourself and rub the closed eyes briskly for a minute or two with your towel. This will make the eyes glow and it will freshen and tone them up considerably. Do it whenever the eyes feel tried, but in any case it should be performed at least three times a day. It is essential that the water should be cold, not tepid.